In Three Words: Luxurious, Relaxing & Serene. Famous for having guests like Kim Kardashian and David Beckham, the iconic Atlantis hotel in Dubai is the major focal point on the glistening shoreline as you drive onto the Palm Island. The majestic hotel, which spent a reported $ 20million just on it’s opening ceremony in 2008, has become world-renowned as an aquatic wonderland for families and couples alike. After entering the striking lobby, with full view of Dale Chihuly’s first glass sculpture in the Middle East, I took directions towards the entrance of ShuiQi Spa. Set over two floors within the Royal Towers of Atlantis, the Spa provides a sublime range of treatments, bathing options, traditional and water therapies. Upon arrival at the spa, I immediately observed the opulent and luxurious decor and the mesmerising and calming music of this peaceful haven. The busy and bustling hotel lobby quickly felt far away in the distance. I began by immersing myself in some pre-treatment relaxation at the sauna and steam rooms. As I nestled in my comfortable robe and slippers in the relaxation room, I was collected and led by my masseuse through a series of earth-hue natural stone steps over streams of water. 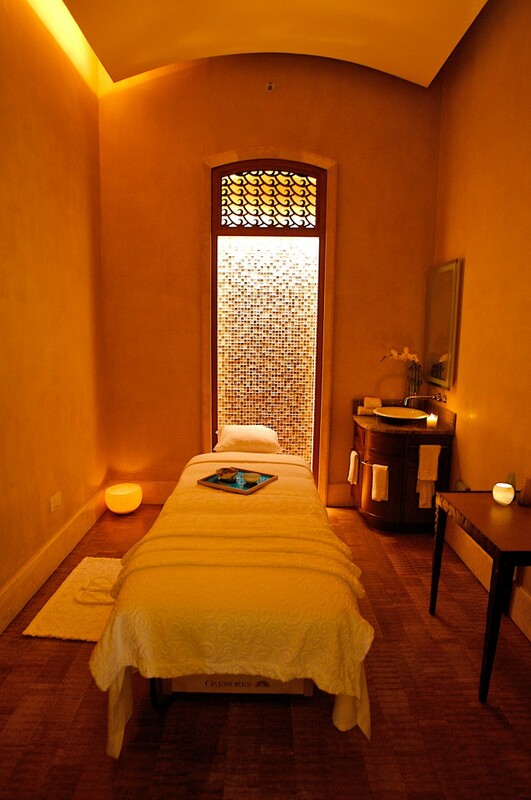 Each treatment room is surrounded with serene water and lily pad features and high imposing ceilings that create a calming and tranquil ambience. My treatment began with a rose petal foot bath and a short aroma breathing ritual. While the ShuiQui spa has a plethora of brands available for purchase, it is the 19th century world-renowned brand Shiseido that is their partner for the treatments. The 60-minute Swedish massage, the most well-known massage technique from the West, was a full body massage that aimed to boost my lymphatic circulation and improve energy flow. My therapist’s technique incorporated kneading movements using her elbows and arms to release muscle tension and smooth out any knots. The massage left me feeling revived, renewed and sleepy. The one-hour treatment left me wishing for more as I returned to the relaxation room for warm ginger and lemon tea on my heated lounge chair. 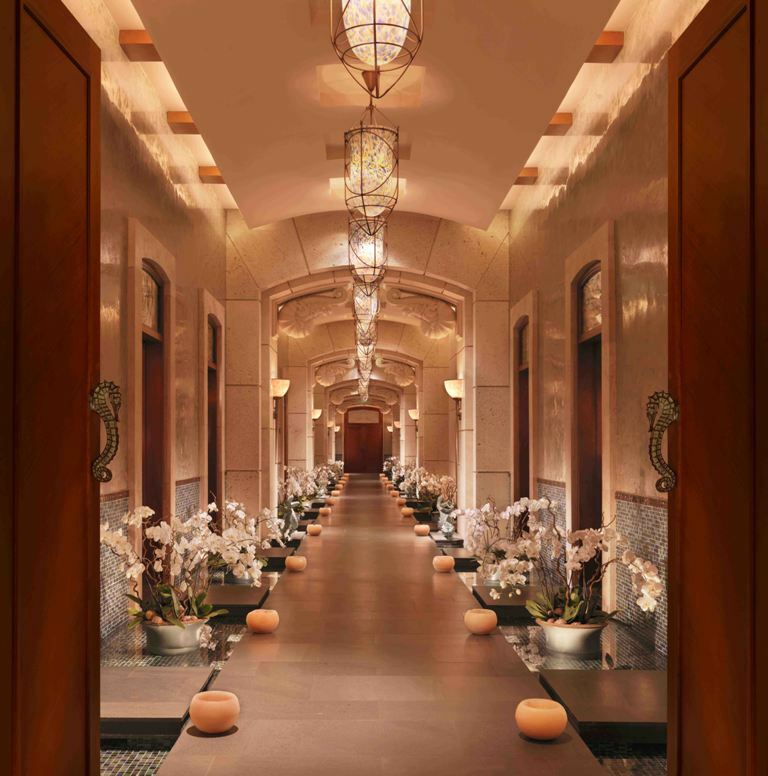 The ShuiQi Spa is a must-visit spa in Dubai. And while you’re at the hotel, don’t forget to enjoy some of the other sites including The Lost Chambers, the Dolphins of Atlantis or the 17 restaurants and lounges including the world-renowned Nobu restaurant.